With B+W effect filters, the creative photographer enters a world of extraordinary and striking photos. One subject will not be in the least appealing until you make use of them, another one will undergo a decisive improvement. A B+W effect filter should not just be used simply as a filter. 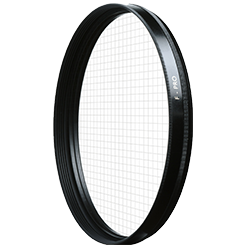 Optimum image results depend on the interplay between lens, filter and subject. Nowadays, many effects can be achieved with image-processing programs. An effect filter may therefore appear antiquated to some. In practice, a direct implementation with an effect filter is a much easier and faster way to obtain an enhanced visual statement. The resulting image can be checked on the camera screen immediately after shooting. B+W effect attachments make unusual photos possible. Suitable motifs become even more attractive. This results in pictures with a look that stands out positively when it is consciously employed. Cross screen filters consist of high-quality optical glass into the surface of which fine grating structures are integrated. Depending on the form of grating, light sources or bright reflections shine in a multi-star pattern that surrounds them. It is important that the light sources are bright and dot-shaped. Then the subtly colored star effect forms in very high definition. The ideal situation for best possible images is point-like lights. For all star grating attachments, we can say that they should only be used for subjects with one distinctive light source or very few light sources or bright reflections, and with the darkest possible surroundings so that the rays stand out brightly, show to advantage, and do not simply merge into a chaotic jumble (as in the case of too many light sources). The B+W 684 4-ray star effect attachment has a right-angled grid of lines with a square grid pattern. The rays begin at the light source, are very long, and are best effective when they are not vertical and horizontal, but at an oblique angle of about 45°. The B+W 686 6-ray star grating attachment has a grid of lines running in the directions of the sides of an equilateral triangle. This star grating corresponds to the 4 rays B+W 684 star grating attachment shown earlier, except that 6 rays begin from the light sources that stimulate them instead of 4. Here, too, the radiant effect always begins directly from the light source. The B+W 688 8-ray star grating creates eight rays. The subject should therefore contain just a few light sources and the background should have large dark areas, so that the rays remain clearly recognizable as stars.